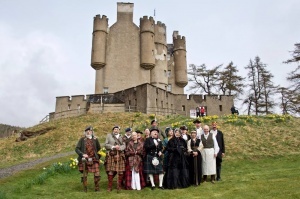 The past will come alive at Braemar Castle. Ever fancied an encounter with Queen Victoria or how about Robert Louis Stevenson? You’re invited to Shake Hands with History and get up close and personal with the colourful characters who have lived in or are associated with the historic building. Since the Castle was built by the Earl of Mar in 1628, a fascinating procession of nobles, royals, aristocrats, socialites, politicians and dignitaries from all walks of life have stayed and visited with tales aplenty to share. Experience an Outlander moment, go back to 1689 and meet one of the first Jacobites, the infamous, Black Colonel, John Farquharson of Inverey, who torched the Castle for the Jacobite cause. Hear his stories of his colourful life and even more intriguing death!